STEK DYNOshield provides you with unparalleled top-coated paint protection film technology for those seeking the best-performing film on the market. Our nano-glass top coat is bonded to the film at a molecular level during manufacturing virtually eliminating the need for waxes or after-market top coatings. 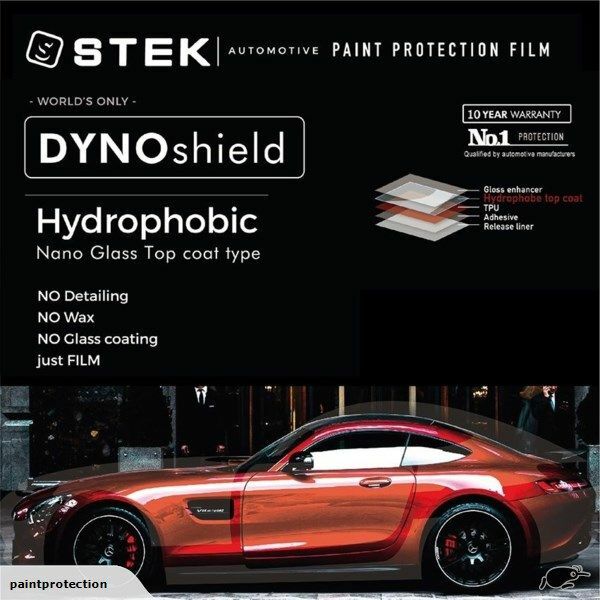 DYNOshield is unique in the market because of STEK's combination of an extremely hydrophobic top coating plus self-healing properties for correction of light surface scratches. Our top coat combined with UV-resistant anti-yellowing adhesives results in unmatched clarity and gloss plus improved puncture resistance. DYNOshield – the best automotive paint protection available from one of the worlds’ leading paint protection film manufacturers. I am interested in the "STEK Paint Protection".